Cleardata, a UK Document Scanning Company, leads the way, as the first business in Europe to invest in Kodak’s latest i5800 production scanner. This brand new document scanning technology is a perfect solution for the scanning bureau environment, capturing 420 images per minute and features advanced image technology. It’s ideal for large volume scanning such as invoice scanning, digital mailroom, and insurance claims capture. 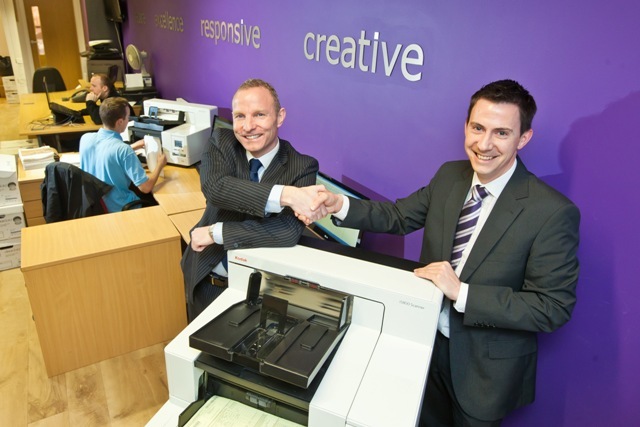 Cleardata is one of the largest document scanning bureaus in the UK and is in high demand. The company focuses on paperless, cost saving solutions for businesses, through intelligent document scanning software and hardware. This is proving popular in the current climate, as many businesses are looking to reduce costs by cutting down labour intensive paper processes. To meet demand, an additional production scanner was required to increase capacity and enhance the bureau’s productivity. Cleardata challenged its experienced team to put a range of production scanners through their paces. Testing focused on quality, speed, usability and output. The Kodak i5800 was selected and has now been installed in the scanning bureau. Kodak has a very profitable and successful Document Imaging Business, producing innovative scanning technology at the forefront of the market. Cleardata’s Managing Director David Bryce commented “Cleardata is growing quickly, by meeting customers’ needs and investing in innovative scanning technology. Our aim is to provide the best quality scanning solutions. The operations team thoroughly researched the market for this investment and chose the Kodak i5800 as the latest in high production scanning. Our business is expanding quickly and growing from strength to strength." Cleardata’s clients include 35 of the FTSE 250, NHS and public sector organisations.